Lindsey the Yorkshire Terrier rescued from a shelter in Denver, CO by her loving owner Sharron Moore. 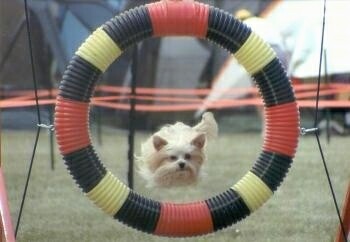 Lindsey loves performing agility. "Look ma, no legs!" 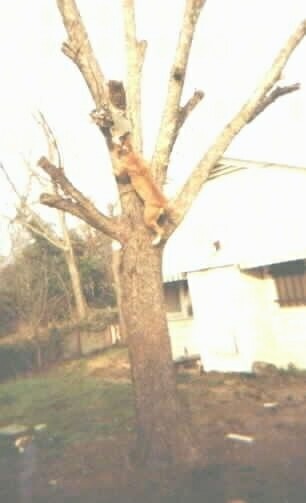 Happy jumping! 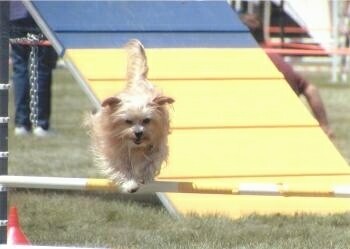 See more photos of Lindsey the Yorkie performing her agility and before and after her first grooming with her new owner. 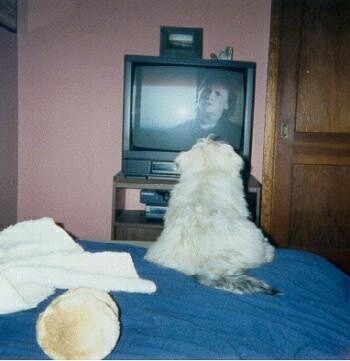 "This is Quigley, a Lhasa Apso puppy, enjoying one of his favorite pastimes...the TV! He is also fond of classical music, especially piano concerts. A dog of many varied tastes, he finds pleasure from all of his store-bought toys but would give them up in a heartbeat for an empty water bottle!!" 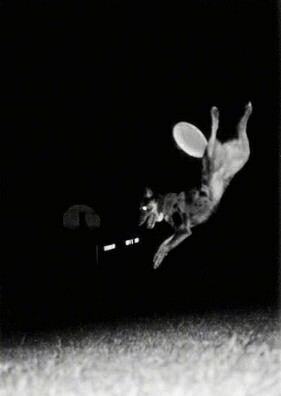 Frisbee dog flying through the air! 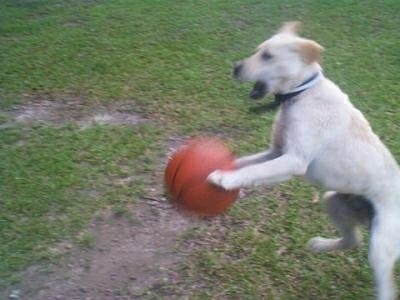 This is Bullet, a 7-month-old Yellow Lab doing his favorite thing, playing ball.